"The combustion engine is also geared to vertically oriented ducted fans (40) and a horizontally oriented ducted fan or propeller (76) for providing the vehicle with the capability of travel through the air. Pressure jets (62), supplied with compressed air from a compressor (66) driven by the combustion engine, augment the lift of the ducted fans and provide steering for the vehicle." You can see United States patent 5,141,173 here. Jeez, if there's two things left after the armageddon, they will be cockroaches and ideas for flying cars. Talk about an idea that won't die! Is society really so dumb that anyone thinks this will _ever_ actually happen? We will go the moon as tourists, maybe build a space elevator, transmute matter, but people just want their stupid frickin' flying cars! Maybe it's just in America, where people have a much greater sense of entitlement. To me it's the ultimate solution to traffic jams and the massive cost of highway construction. I think that advances in computer science and materials science might yet make it possible. It might reduce traffic congestion - who knows? In 50 years, there will be over 9 billion people on the planet, mostly in developing countries. Would they all have flying cars? If the technology was widely put into use, who knows what structure society might take. I'm sure it would be nearly unrecognizeable to people of today. Flying cars are akin to 19th century moon-ship made from iron and shot from cannons. It's just another form of horse and buggy thinking. So you think that the general public, the people out there driving cars right now, would be at all adept at *flying* a car? Let's assume the only way this scheme is possible is with completely automated control and guidance systems, which seems logical (and much, much safer). What makes you think people wouldn't hack these systems, or infect them with viruses, or purposely alter them in some unexpected way? And the age old question that will never go away: What happens when a unit breaks down and falls from the sky? The cost of highway construction would be paltry compared to the upheaval that would occur if people could fly their private cars anywhere and everywhere. It would be far cheaper, smarter and safer to build extensive high-speed train & tram networks. I'm only scratching the surface here. The flying car is a ridiculous dream that belongs right beside perpetual motion machines. I think the technology to make a flying car will arrive, or perhaps already has, but the social acceptance of the danger, pollution, noise, and cost of them will prohibit their widespread use. People built thousands of miles of railroad track in the 19th century. Opening up vast areas to rail travel was one of the most important achievements of that era. You accuse others of 19th century thinking, and your solution to transportation problems is trains. Before there were cars, no one on Earth knew how to drive them. They started mass producing cars, and millions of people learned to drive. People learn. Computer technology can make vehicles easier to fly than aircraft that exist today. One objection to a flying car is that it would crash if someone tampered with it. This objection also applies to almost any complex machine. The computer you're using right now could electrocute you if you poked around inside of it, but that's not a reason not to build them. A flying car powered by hydrogen fuel cells would not pollute the air, and it might not be noisy either. Yes, it would be dangerous, but we accept the danger of ground cars, which kill large numbers of people every year. Flying cars was the one ridiculous element of the world in ca. 2000 in Heinlein's Stranger in a Strange Land. Certainly huge rich politicized churches was right on. No one could write a realistic near future back in the 50s w/o flying cars. And it allowed for some neat plot tricks. What about the robotic cabs that were almost as standard? 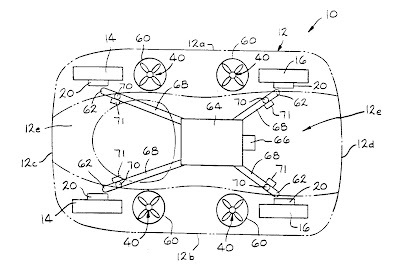 I am a proponent of the Flying Car concept myself (just google me or Skyblazer) and I don't want to dampen anyones enthusiasm - but I think it is time for a reality check. Simply put, the risk of operating any flying vehicle in uncontrolled areas is stupidly high, which is why they must operate out of airfields. We already have functional VTOL aircraft, called helicopters, and you have to ask yourself why we don't use them instead of cars? - it is really not just the rotor size. Just look around and see all the cables and pylons and people and buildings that you would need to navigate if you were able to get airborne out in the parking lot. So I am sorry, but you are not going to be able to fly up out of a traffic jam, or pop over to Wal-Mart or your girlfriend's house in your flying car. In addition to the legal and safety issues involved, there is also the small matter that we don't actually have anti-gravity - it is just sci-fi. Any VTOL aircraft is caused to fly or hover by standing on a howling gale of air - and anyone who has ever been anywhere near such an event knows it is VERY ugly. Also, unlike other aircraft types, if powered lift vehicle looses power it suddenly takes on the flight characteristics of a cement turd. 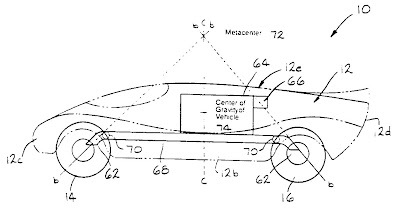 It is, however, possible to develop a craft that can both drive on the road and fly in the air. You can drive to a small airfield (I bet there are several quite close to you right now), fly to an airfield near where you're going, and then drive to your destination. It is kind of like using the air as a freeway - fast, no traffic jams and it should be mostly automatic. I like the idea. I want one!